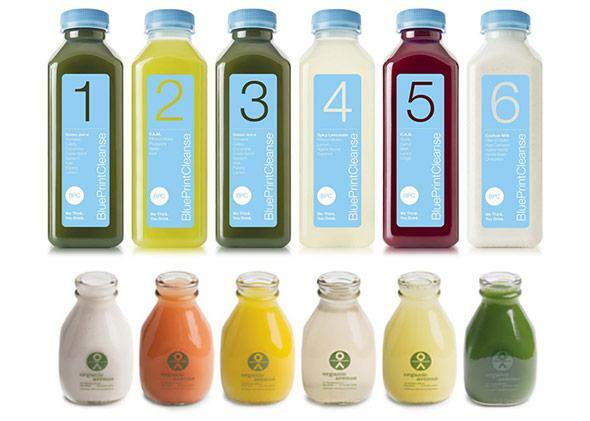 Juice cleanses: Not healthy, not virtuous, just expensive. It’s not healthy, it’s not virtuous, and it makes you seem like a jerk. Enlightenment in six easy steps. Remember when juice was just juice? It has become so much more. A verb, for one thing, and, as the Wall Street Journal reports (what you already know), a status symbol. Thanks to cleansing celebrities like Gwyneth Paltrow, Owen Wilson, and Blake Lively, cold-pressed blends of kale, celery, lemon, chard, and ginger are the new ambrosia of the stars. Bill Clinton juices. Hip-hop ambassador Russell Simmons extolled green juice in the New York Times. Entire workplaces juice together. Bridal parties juice. Juice (the unpasteurized designer stuff, not your standard OJ) has become a $5 billion industry, projected to grow by 4 to 8 percent a year. According to Barron’s, more than 6,200 juice bars are now churning out swamp-colored elixirs across the country. Starbucks recently spent $30 million to acquire Evolution Fresh, a cold-crafted juice operation, hoping to capitalize on what one spokesman called “a major lifestyle trend” of seeking “healthier alternatives.” Chairman Howard Schultz says he intends to glamorize juice “in the same tonality that we have reinvented, over the last 40 years, the basic commodity of coffee.” But the nutrient-rich fruit and vegetable potions may not need his help. In premium supermarkets like Whole Foods and boutique outfits like Organic Avenue and Juice Gallery, 12- to 16-ounce bottles of liquid produce already sell for around $10 apiece. If our bodies are our temples, juice is what we worship—and no form of prayer is more American than opening up our wallets. One thing that actually will happen to most juicers, though of course it is not their motivation, is that they will lose weight. At around 1,000 calories a day, the cleanses resemble religious fasts—purifying rituals undertaken during Ramadan or Yom Kippur, or by medieval Christian mystics. (In the New Republic, Judith Shulevitz traces the history of holy figures starving their bodies to nourish their souls—“though they didn’t call it detox at that time.”) Juicing also has a lot in common with more terrestrial crazes like the cabbage soup diet and going Paleo. Be virtuous! Purge your body! Look hot in jeans! (For only $525 a week!) Somehow, with JC, all of these directives miraculously become one. But juice cleanses accomplish exactly none of their physiological or medical objectives; they fetishize a weird, obsessive relationship with food, and they are part of a social shift that reduces health (mental, physical, and, sure, spiritual) to a sign of status. They’re annoying as hell. Yet the real JC sales pitch is not about microflora or nutrients or even—ostensibly—weight loss. It’s about toxins. You cleanse to flush your system of impurities, flecks of blight (some would say sin) lodged in your cells. “We live in an age of what William James called ‘medical materialism,’ so instead of fretting about a fallen world, we speak of a poisoned one,” observes Shulevitz in her New Republic article. BluePrint and Life Juice are meant to scrub away the effects of our pizza Mondays, our martini weekends, our polluted air and water. Get right with your gut, the cleanse companies urge. Get right with God. Which is pretty vague, and perhaps explains why after days of Googling I still have no idea WTF a toxin is. “It is far harder to kill a phantom than a reality,” wrote Virginia Woolf, another woman with a tortured relationship to food. The juicing industry is counting on that. What about the advertised psychological benefits of cleansing? The euphoria? And the popular claim that, during a fast, energy normally used in digestion flows to the brain, “enhancing one’s ability to solve problems”? “If every time we ate, our brains shut off, there’d be no more working lunches,” Applegate says. Obviously, cleansing acolytes use the word toxin loosely, as a metaphor for our lapsed lifestyles. Toxins are like cholesterol clogging an artery, except they block the path to woo-woo transcendence instead of the left atrium. Or, as Vanessa Grigoriadis puts it in New York magazine, “Food is the focus of an enormous amount of modern moralism … One wants to be skinny because one wants to be healthy; one wants to be healthy because one wants to be good.” As religion declines among elite urbanites, a new scripture—“sprouting and enzymes and whatnot”—is swirling into the void. But the cleanse mentality is more than just judgmental and irritating: It’s dangerous. Making each meal a drama of discipline, deprivation, and control? Floating along on a superior high that isn’t really about how much weight you’re losing (but actually kind of is about how much weight you’re losing)? Seeking to express your achievements, be they moral, social, or financial, in the most visible terms you can manage? Does anyone else think this sounds a lot like an eating disorder? Are cleanses a socially sanctioned way to test drive pre-anorexic or bulimic behaviors? “While refusing food for 3, 5, or 7 days at a stretch would raise eyebrows in most workplaces,” writes Jenna Sauers of Jezebel, “saying you’re on a ‘cleanse’ gives you a pass.” (Not to mention that for women already enthralled to an eating disorder, juicing offers “a great cover.”) Even the JC websites seem confused about their purpose: Is it to find Zen or to get really skinny? “This is not a diet,” insists BluePrint about its most abstemious cleanse. “However, we know what you’re going to ask next. So yes, this is the Cleanse level that contains the least amount of EVERYTHING.” In other words, while one does not cleanse to drop pounds, if one wanted to choose a program based on calories and to pursue dramatic weight loss accordingly … well, you get the picture. This is not to say that everyone who cleanses has, or will soon have, an eating disorder. Nor am I suggesting that all juicers are being disingenuous about their interest in health. But both cleansers and people who struggle with disordered eating show a tendency toward enfolding their dietary choices in myths and religiosity, poetry and rapture. The author Francine du Plessix Gray discovered “mental clarity and spiritual worth” in anorexia. A quarter of a century later, Juice Press owner Marcus Antebi achieves “remarkable physical, emotional, and spiritual status” by sucking down six atomized salads a day. Maybe we’ve always sought the holy in our daily rituals, whether those small routines are good for us or not. But if juice cleanses make us feel so special, it’s worth asking why that is—and whether any of our woozy, kale-fueled enlightenment comes at a price. Well, duh it comes at a price, you are saying. An astronomical, absurd, $10 per bottle price, not counting all the herbal tea you have to buy to cut the hunger pangs and the $125 colonic. And that’s the final piece of odiousness in juice cleanses—that their purity and excellence is inevitably tied to wealth. Unlike timeless forms of salvation, salvation by vegetable goop is only available to the well-heeled. (In this way, it resembles salvation by Soul Cycle or salvation by marked-up yoga gear.) So while the apotheosis of juice may speak to a new wave of health consciousness, trendy spirituality, and eco-activism, it also, as Noreen Malone suggests in the New Republic, owes a debt to American Puritanism—the fusion of virtue with “a sharply competitive spirit.” Virtue, in this case a Pilates-toned body or a pricey green drink, is something to flaunt. Want to really show your neighbors who’s No. 1? Pull the BMW into the garage and leave your juice in the driveway.